Thank you for considering me! I would love to meet up to discuss your specific portrait needs. I offer a full service, boutique portrait experience which includes your complimentary Pre-consultation, Custom Portrait Session, In Person Ordering Appointment and Delivery Appointment. I specialize in providing clients with heirloom wall art and elegant folio box collections. This session is ideal for clients that need Business Branding Portraits or Family Portraits (up to 5 family members). ​Includes up to a 3 hour portrait session and 5 digital files. $200 off portrait art at your Ordering Appointment. This session is for one person. Includes up to a 2 hour portrait session and 3 digital files. Short and sweet session for one person. Includes up to 1 hour studio session and 1 digital file. Additional images and portrait art are available at your In Person Ordering Appointment. Portrait Art starts at $200 and Portrait Collections start at $1,500. At your Pre-Consultation, we will discuss your vision and personal portrait needs to prepare for your portrait session. 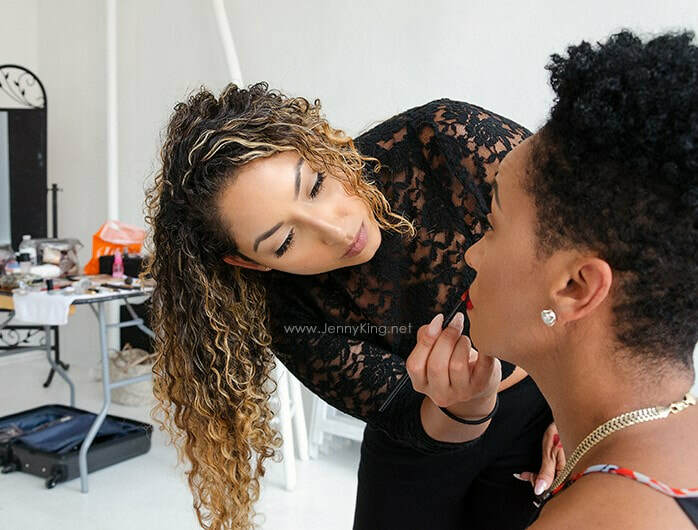 Behind the Scenes: Makeup Artist, Miriam Torres, preparing Sharon Fields of Beautiful Curves 365 for her session. Business branding portrait session. Behind the scenes with Sharon Fields, owner of Beautiful Curves 365. Client delivery appointment: This lovely couple is holding one of their favorite canvas wall portraits of their beautiful family. This client celebrated her 60th birthday with portrait sessions at the studio, farm and beach. Fine Art Framed Prints, Canvas Gallery Wall Art and Elegant Folio Box Collections. Contact me for a complimentary pre-consultation to view portrait art samples.